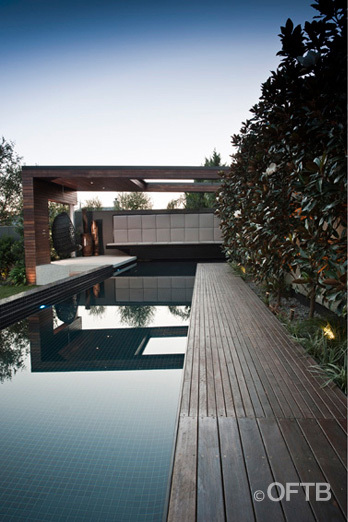 spotted gum cladding, RHS steel battens. 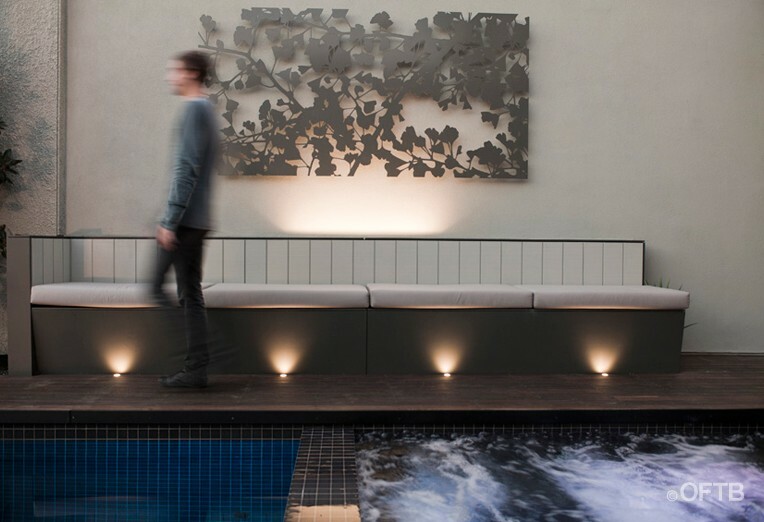 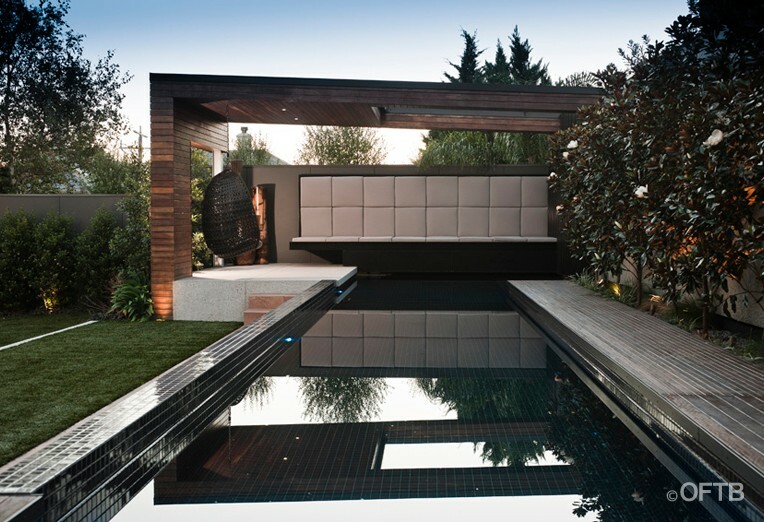 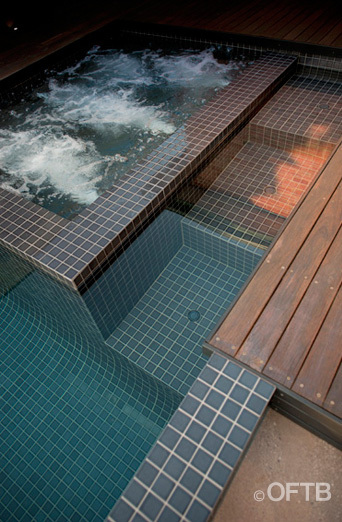 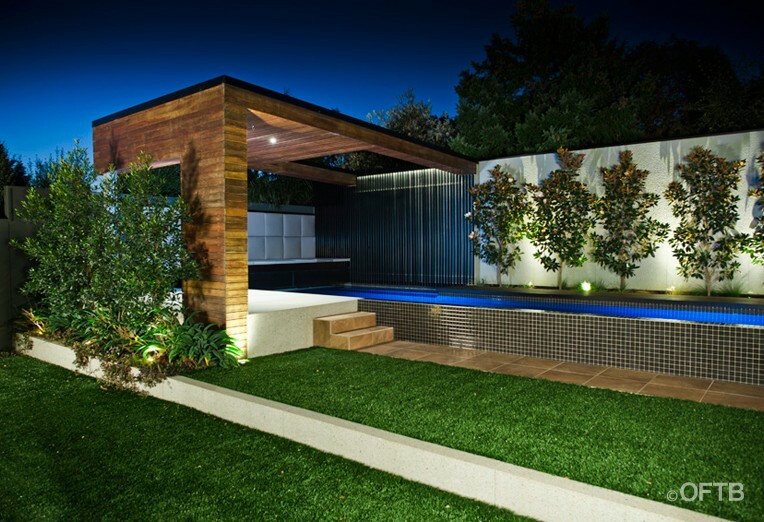 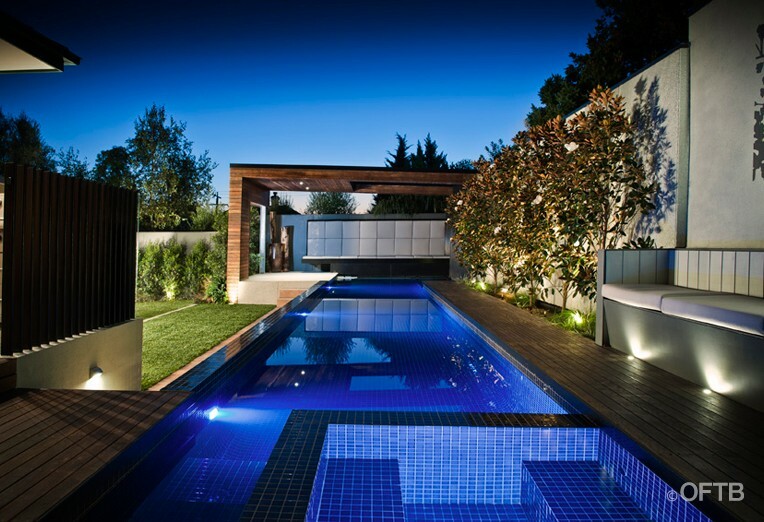 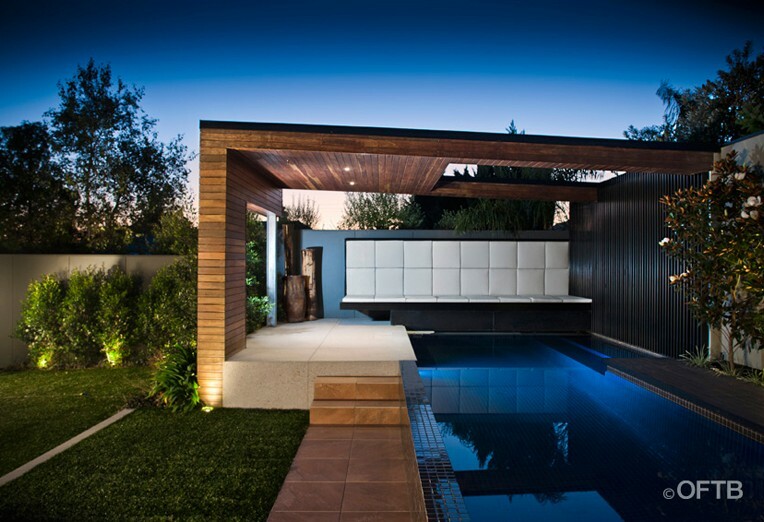 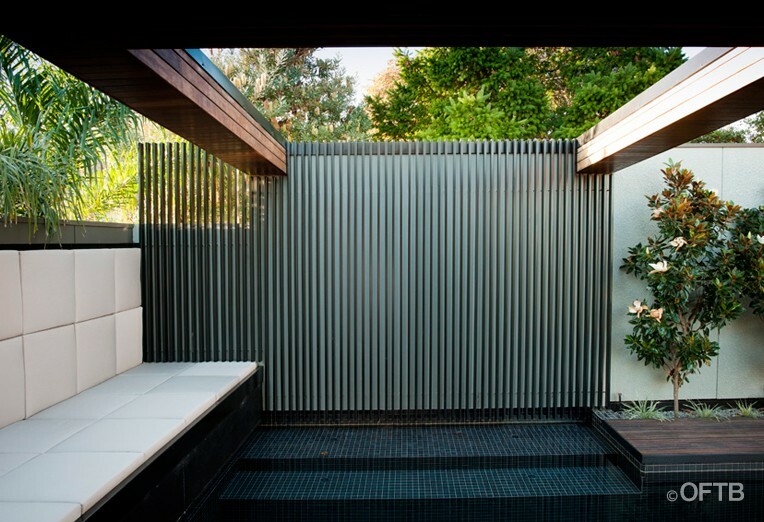 concrete, porcelain tile, spotted gum, compressed sheet, upholstery, perforated steel, steel screen, ceramic pool tile, synthetic grass. 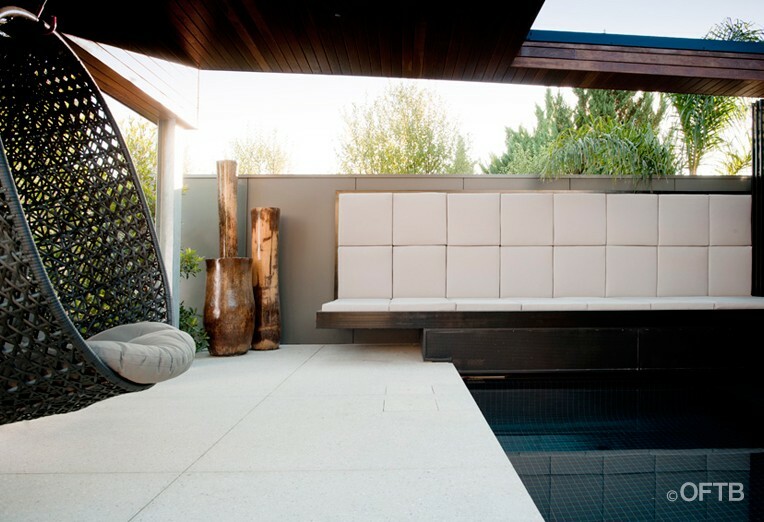 retreat inc. skylight & upholstered daybed, lap pool inc. spa & steel feature wall, timber boardwalk, spa lounge, garden beds, lawn.